In 2019, everyone who uses the internet should be using a VPN. On one side, you have big tech companies looking for more and more ways to harvest data from you. And on the other side, you have cybercriminals looking to steal your personal information for obvious criminal reasons. There is also the ever more prominent tactic of “swatting” people online. Swatting incidents have resulted in innocent people being killed. We’ve become fully encompassed by the digital age and spend more time online than ever before. Names of friends and family, sensitive personal information, pictures and videos, are all stored on our personal devices — it’s all out there in the techno sphere, and hacking is child’s play. With the 5G era right around the corner, you’d do well to make sure you’re ready for it. And part of that means getting yourself a VPN. But exactly what is VPN and how do you use it? We go over all the information you’ll need to stay safe when venturing into the wild west that is the internet. 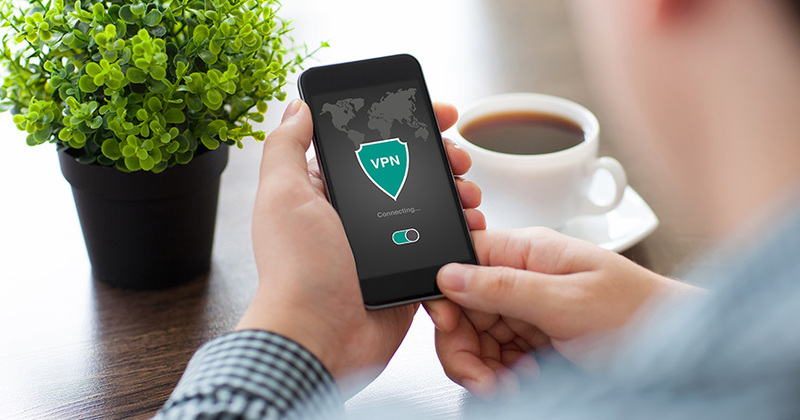 A VPN is a virtual private network that allows users to send and receive information across public and shared networks as if their devices of choice are directly connected to the private network. Initially, VPNs were more commonly used by remote/regional employees of companies so they could access the corporate/main office’s network and resources. The uses of VPNs have evolved over the years, and VPNs are also regularly used to access region-locked content. When browsing on the internet, you may come across content like TV shows or movies that state access is blocked in your country. By using a VPN, you can get around this and access content from all over the world. VPNs are also used to get around internet censorship. The most common example of this is China where the Great Firewall of China heavily restricts content online. So in some countries, VPNs aren’t just a nifty little tool used for the sake of convenience, but are almost a requirement. In today’s day and age, I would say a VPN is a must-have for everyone. VPNs will encrypt your data and hide your IP address, making it nigh-impossible for hackers or any other nosy folks from getting to it. One of the best aspects of using a VPN is that it’s incredibly simple. A lot of people shy away from VPNs because they think they’re difficult to use. However, even the most technologically inept person can set up a VPN on their devices. Using a VPN is simple: first, select the VPN service that you’d like to use. Next, set up your VPN service. Finally, select a server to browse on and that’s it. You’re done. Yes, it’s really that simple. It’s probably harder learning how to make cupcakes. Encrypting your data and keeping it safe from hackers. Allowing you to browse the internet in complete anonymity. Hiding your IP address (this is big for keeping safe against swatters). Allowing you to stream region-locked content no matter where you are. Giving you remote access to information. Allowing for spoofing. In other words, you can use IP addresses from numerous countries. Ad and tracker blocking (keep in mind that not all VPN services do this). Some VPNs will keep your data private just to end up using it themselves (they just won’t tell you). In some countries, using a VPN is actually illegal. So, use at your own risk. Depending on your system, VPNs may cause a slowdown in performance. Cheap VPNs may lure you into a false sense of security. You get what you pay for. So, if you go down the free route, don’t be surprised if it doesn’t go as you thought it would. The Dovahkiin of VPN services — NordVPN doesn’t allow you to Shout, but it does a lot of other great stuff. NordVPN has servers in 61 countries and uses quick connect, which will automatically connect you the server that NordVPN believes is the best for you. NordVPN also has a smart play option, which delivers content to you automatically without you needing to spoof to a particular country server. Additionally, it has a kill-switch option that you can toggle on, which will immediately close out whatever you are doing if the connection drops. NordVPN can be used with Windows, MAC, Android, iOS and Linux. It also has outstanding customer service, which is always a plus. The company is currently running a special which will allow you to sign up for their service for a mere $2.99 USD a month. Arguably the most trusted VPN service out there, ExpressVPN deserves all the praise it gets. When it comes to China, ExpressVPN is your best option. The Chinese government is cracking down hard on VPN services, but Express is still going strong. ExpressVPN has more than 3,000 servers in 160 cities across 94 countries. Its offshore privacy protection makes it the best when it comes to privacy. ExpressVPN works on all devices, employs a kill-switch and works on all the common operating systems. Additionally, it has consistently fast speeds, allows you to access content from anywhere in the world, and has top of the line data encryption. Lastly, ExpressVPN is currently offering a 30-day free trial. Amazon Web Services is getting more and more expansive and offers its own VPN service. AWS VPN is definitely the least newbie-friendly VPN service on this list, but for those who know what they’re doing, it offers a larger degree of control. AWS VPN offers two services: AWS Site-to-Site VPN and AWS Client VPN. There are other VPN services that aren’t as ideal for commercial/business use and are more catered to personal browsing. AWS VPN however, is probably one of the best VPN services for those who are running a business. AWS VPN allows you to connect your Amazon Virtual Private Clouds to as many networks as you deem fit. You can create as many subnets as you’d like, set up restrictions, give users access to your networks, and allows for remote access. I really need to stress that AWS VPN is NOT newbie-friendly, and in all honesty, seems to be entirely tailored to the more business-inclined folks out there. So, if you’re a casual user and just want to protect your data, maybe give AWS VPN a pass. But if you’re running a business, AWS VPN might be your best option. Another reason the casual internet user will likely want to give AWS VPN a pass is how pricing works. Most VPN services just use a standard monthly fee for their services; however, AWS VPN is a bit more complex. Amazon charges a flat hourly rate for each site-to-site VPN connection and client VPN connection per hour. That about does it for this guide. You know what a VPN is, you know how to use one, and we’ve given you some choices between some of the best VPN services available. The most important point that we’d like to drive home is that you are responsible for your own safety online. So get yourself a VPN, and keep yourself protected.